ENTEBBE- President Yoweri Museveni has applauded the people of Sebei Sub-region in eastern Uganda for waking up to his call of addressing the issue of household income. He said that by embracing modern agriculture, the people of the area have come out in full force to fight household poverty. He noted that once the people of Uganda solve the issue of household income, everything else can be manageable. “I am happy that you have concentrated on some of the things I have always told you about. Focusing on enterprise selection is good and once you achieve homestead income, everything will be sorted,” he said. 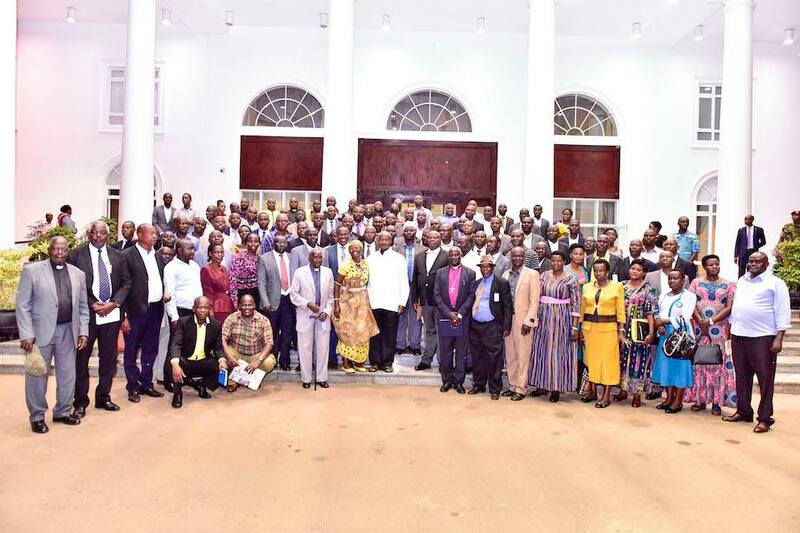 The President was addressing political, religious and opinion leaders from Sebei Sub-Region who called on him at State House, Entebbe on Wednesday. Mr. Museveni advised the people of Sebei area to engage in the growing of grapes, apples, strawberries and carry out dairy farming for milk production, among others, in order to get good financial returns and transform their livelihood. He added that the products of the enumerated activities have ready markets in the world. Regarding irrigation, the President told Sebei leaders that the Government is considering covering the whole country with big and micro-irrigation projects to boost production across the country. He noted that increased production will also see the country set up an industrial park in Sebei Region like those in Mbale and Namanve, among others. The President used the occasion to appeal to all Ugandans to fight the negative and backward practice of land fragmentation. He noted that the vice is perpetuated by the primitive inheritance practices that encourage land sub-division resulting in unproductive yields; leading to poverty. Mr. Museveni urged the leaders of the region to form SACCOs based on activity per area to enlist Government support to enable them to access low-interest financial services. Water and Environment Minister Sam Cheptoris, thanked the President for the development programmes in the area, mostly education, health, and electricity services. The delegation assured the President of their continued support to his leadership and development programmes.